Get the distinguished look of the world renown detective with the help of our Sherlock Holmes Pipe. It might not help you to outwit criminal masterminds, but it will give you the authentic appearance that everyone loves! 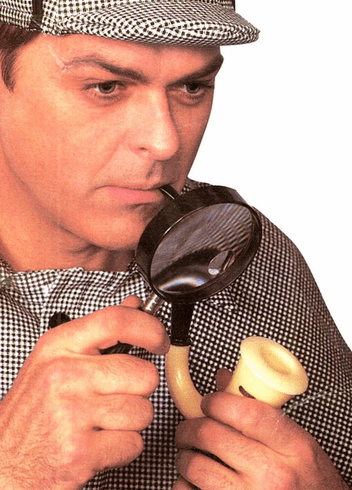 Our Sherlock Holmes Pipe is a fake plastic pipe accessory in a contoured, classic horn shape. The black, cream or white colored J-shaped tobacco pipe is the perfect prop for a number of characters. Put clues together and solve the mystery when pairing the Sherlock Holmes Pipe with your old world detective costume!